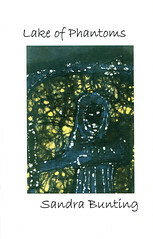 # posted by Unknown @ 8:08 p.m.
# posted by Unknown @ 3:37 p.m.
Sandra Bunting is the author of a poetry chapbook, Lake of Phantoms, by Mercutio Press of Montreal and the collection, Identified in Trees, by Marram Press, Galway. Brought up in The Miramichi, she is strongly influenced by her Canadian roots while maintaining a love for the west of Ireland where she now lives with her husband and two daughters. To facilitate her interest in travel, Sandra has taught English in Madrid, worked at a zoo in France, a chambermaid in Brighton and a barmaid in Edinburgh. With a degree in Communications, she is a frequent contributor to several non-fiction publications. Besides being a member of the Galway Writers' Workshop, she is on the editorial board of Crannog, Galway's liveliest literary magazine. 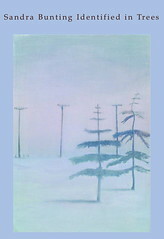 She is now working on a novel and a number of other projects. 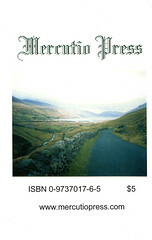 # posted by Unknown @ 5:30 p.m.
Lake of Phantoms, Poetry Chapbook, Mercutio Press, $5Cdn. # posted by Unknown @ 2:40 p.m.